Home Mobile Tips Smartphone Smartphone Screen and things you should know now! Nowadays, one of the elements that we value the most when buying a new smartphone is the screen. But sometimes we get lost between the acronyms and figures of the technical characteristics. In the following lines we tell you everything you need to know about the smartphone screen. How is the smartphone screen size calculated? The standard unit of measure for measuring the screen size is inches, and they are measured diagonally. The conversion to the metric system is 1 inch = 2.54 centimeters. Therefore, if you read that we are talking about 5.7 inches, they will be 14.5 centimeters diagonally. What is the resolution for the smartphone screen? The screen resolution refers to the number of points (pixels) that make up the image. The greater this value, in more detail we will see the photos, videos, videogames, etc. The resolution is defined with two values, length and width. Thus, the resolution Full HD, is represented with 1920 x 1080 pixels. Although sometimes we will only see reflected the second value in the technical characteristics, 1080p. With this rule, to know the number of points that make up the image, in this example we will multiply 1920 x 1080. As a result, we will obtain that in this case a Full HD screen has more than two million points. It is important that the larger screen size the resolution is increased exponentially, so as not to lose quality. For example, the resolution of a screen of 5 or more inches should be at least Full HD if you intend to watch series, movies and TV with excellent quality. And little by little you start to have a better knowledge to buy a Smartphone! What does dot density mean? In addition to the image resolution, another value that influences the quality of a smartphone screen is the density of dots per inch. The initials that we will find in a technical sheet will change depending on the language. To clarify this concept, we will say that “dpi” is the number of points that can fit into a square inch of screen. If your smartphone has 480 dpi, it means that you “paint” 480 points per inch at the top and the width. Thus, the higher the “ppp” value of a screen, the greater the definition and image quality. Although the limit of the human eye to distinguish the dots per inch is 530 ppi similar to what smartphone displays today. 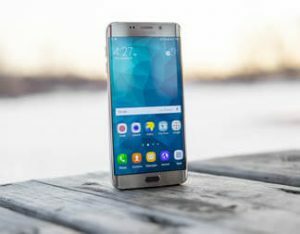 How do I choose the smartphone screen size? You tend to think that a larger screen size is always better, but this is not always the case. When choosing a mobile phone, we must always take into account other characteristics. Here they enter weight, the thickness, the resolution, and above all for what we are going to use it mainly. If you are going to use your mobile to watch TV, movies, etc. And you really want to enjoy the experience to the fullest, you will need a screen of 5.5 inches or greater with QHD resolution (2560 x 1440) or Full HD (1920 X 1080). On the other hand, if what you want is a mobile that can be easily carried in your pocket. And you will also use it to read mail, take photos and for instant messaging, you should consider having a simple smartphone. How do I protect the screen? 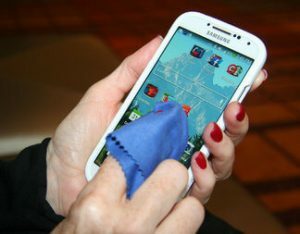 Although Smartphones screens are becoming more resistant thanks to the use of synthetic crystals. It is always advisable to add additional protection to the screen, just in case. Basically in the market we can find two types of screen protectors: plastic and tempered glass. The plastic protectors only protect against scratches, and will not prevent the screen from breaking. In addition its placement is complicated and almost always there are air bubbles between the protector and the screen. Tempered glass protectors are the best sellers of the moment. They protect against possible breaks due to falls, are better placed and do not usually create air bubbles. In addition to offering a good tactile sensation and not generating glares or annoying reflections on the screen. Now you know what is necessary and more about the smartphone screen. Remember to also adjust your smartphone to your budget and the profitability will be higher. I hope this article is useful for you, share it with your friends and comment! Until next time in technology tips! Next articleNSA Hacked: How does it affect your IT Security?